Ноутбук Lenovo 81FV013VRU Y530-15ICH CI5-8300H 15'' 8/128GB+1TB..
Ноутбук MSI GF63 8RC Coffeelake i5-8300H+HM370/8GB DDR IV /1TB+128GB SSD/no ODD/15.6'' FHD. 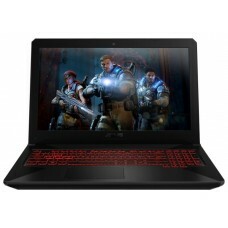 60Hz IPS/ GTX 1050 . 4GB GDDR5/WiFi+BT/Win 10/Black..
Ноутбук Dell XPS15(9570) 15.6'' 1920x1080/Core i5 8300H/8Gb/ 1000+128SSDGb/GeForce GTX1050(4Gb)/Cam/BT/WiFi/ 9570-1073..
Ультрабук Dell XPS 15 Core i5 8300H/8Gb/1Tb/SSD128Gb/nVidia GeForce GTX 1050 4Gb/15.6''/IPS/FHD (1920x1080)/Windows 10 64/silver/WiFi/BT/Cam..